With its eyes focused and its wings spread out the ray veils the sun. 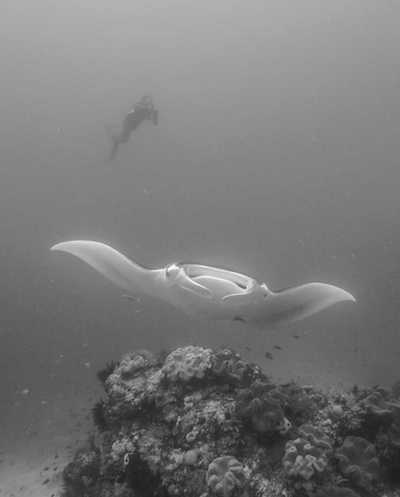 As the diver disappears beneath the giant shaddow of a manta ray, he has a decision to make. He senses the animal’s genuine curiosity and feels drawn to it by a charisma that transcends species. He feels an urge to explore this apparent connection through a simply touch. Should he act on this urge? This seemingly mundane choice has become a surprisingly relevant topic in shark conservation. 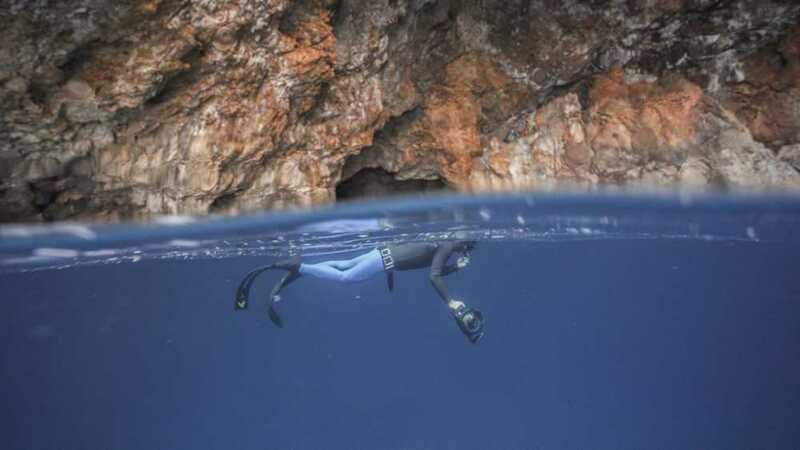 For decades the common census in the diving community was to not touch any marine life, both to limit the risk for divers as well as the animals of getting hurt. With the dawn of Instagram this unspoken rule seemed to erode quickly. The most popular ‘shark media’ is now dominated by pictures and videos of divers touching and even riding sharks. 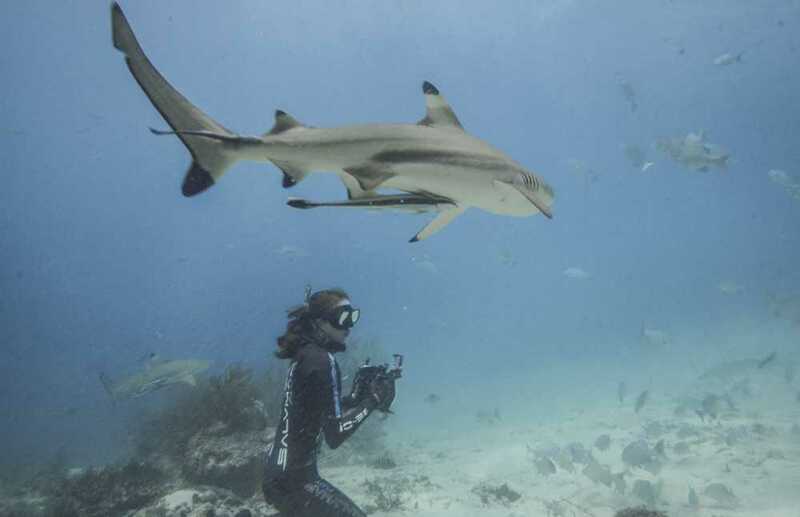 Those acting on their natural urge to touch these charismatic predators claim that their publicity helps promote a positive image of sharks in the media, ultimately benefiting shark conservation. At face value touching sharks doesn’t seem like a big deal, does it? However, the question of whether to touch or not to touch has serious wider implications, raising questions about what we want the relationship between humans and wild animals to look like. What happens when inexperienced divers begin to follow the trend of touching large marine creatures? Who’s responsible when somebody gets hurt? What’s the impact of the consequent negative media coverage? What’s the impact of repetitive touching on large marine animals and how does it affect their behavior? 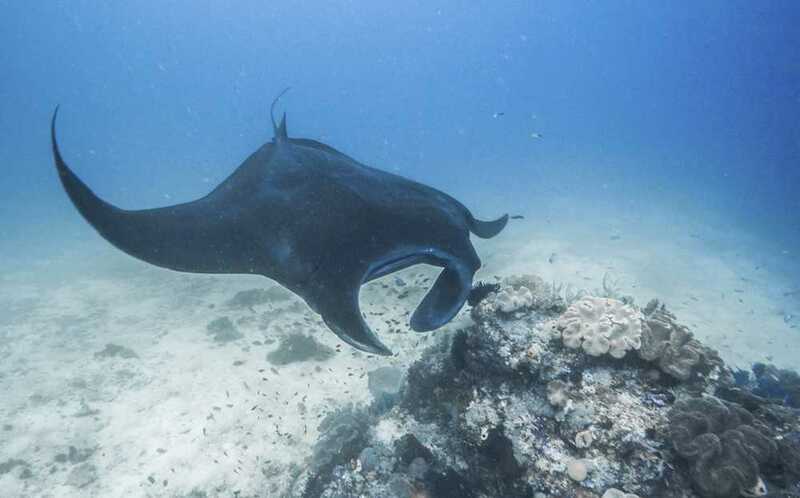 During a Watermen Project expedition to Raja Ampat William Winram, Lukas Mueller, Annie Guttridge and Angelos Metaxa explored this theme and captured their experiences in the 4K short film “To touch, or not to touch – Manta Rays of Raja Ampat”. 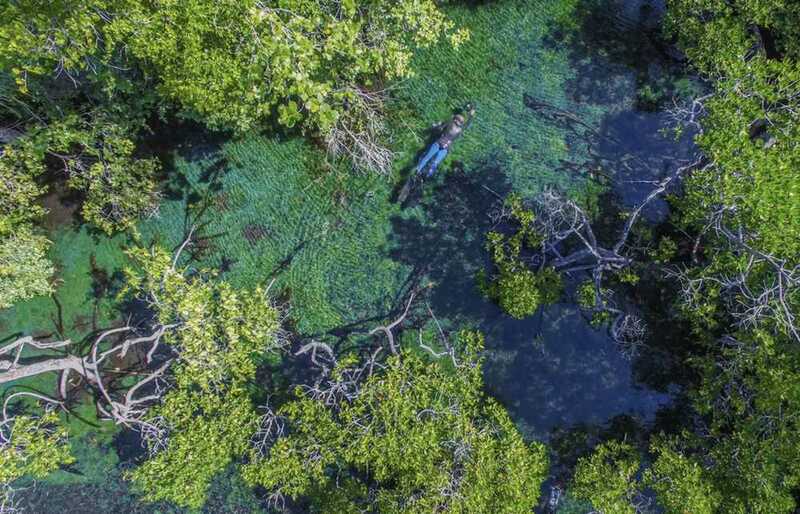 Using the art of freediving the team dives in the ripping currents, shallow lagoons and rich mangrove systems searching. 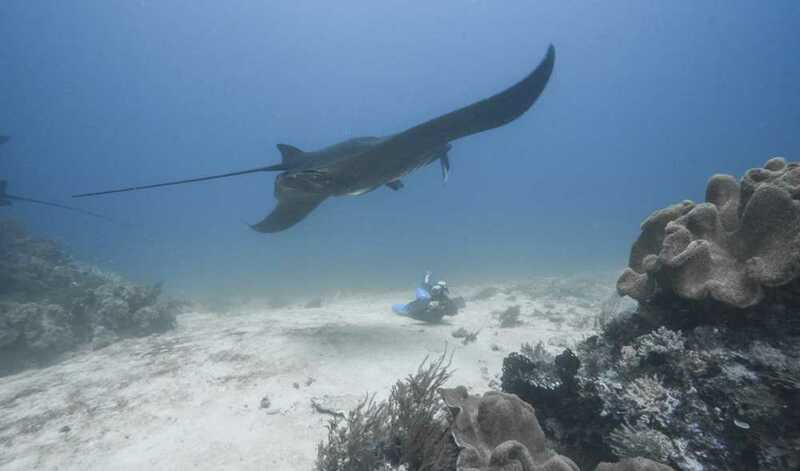 As they are dwarfed by enormous manta rays and greeted by inquisitive blacktip reef sharks, the the team members experience the urge to touch. Supported by spectacular images of respectful interactions with charismatic marine creatures the team explains their reasoning not to touch. They put forward a positive vision on how one can develop a relationship with wild animals that is rooted in mutual respect, accepting one’s responsibility for one’s own conduct as well as the actions it can inspire in others. The film will be released in 2019 and will represent an important contribution to the, at times very heated, public debate around respectful conduct when diving with sharks, rays and other marine creatures.